The life of the Jews in Harbin, Manchuria, during the first half of the 20th century is a little-known episode that revives with talent the Chinese novelist Chi Zijian in “Good night Rose”. Three collections of her short stories had already been translated into French from 1997 to 2004. Two years ago, are published the short stories “All nights in the world” and a few days ago the novel “Good night Rose” . She is not well known in France, but famous in China with three Lu Xun literary prizes and a Mao Dun prize in 2008. Lena is more than eighty years old, she was born in Harbin in the 20s, her father, a violin manufacturer, was murdered in a pogrom in Russia. Her grandfather was a shoemaker and her mother a nurse who will remarry with a Jew from Poland who became rich with timber trade but killed himself with opium. Lena teaches dance and music, she is a piano teacher. Living alone in a large apartment, she became the landlady of the narrator of the novel Zhao Xiao’e. She was born in the north of the province, her father was the accountant of the village committee, and her mother a peasant; her brother who financed her studies is a driver. She is an illegitimate child, her mother was raped on the grave of the grandfather. 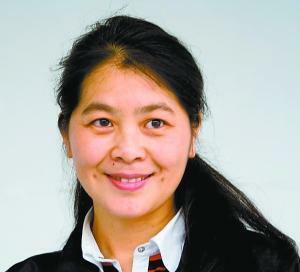 Chi Zijian recounts the loves of Zhao Xiao’e in Harbin where she is a newspaper proofreader: a peasant during her university time, an official respectful of hierarchy and traditions and an executive with a pharmaceutical company, Ji Deming. Love is a big word for these relationships which do not always occupy an important place in her life. As for her friend Weina, equality with men is taken for granted. But feminity is not far away and clothes, hairstyles, as for Lena, occupy periodically an important place. We read this novel with pleasure in an elegant translation into French by Yvonne André. The characters are complex, socially, emotionally; they are never a supporting role to the story or to historical references. The story of Lena keeps up our interest and the novel skillfully reveals what Lena was hiding to people roud her. At the end of her studies,Chi Zijian wrote a book about the Japanese occupation of Manchuria and tells us precisely the history of the Jews in Harbin. They were immigrants from Russia to escape the pogroms after the Russo-Japanese War (1904-1905) and the October Revolution (1917). At that time, 20 000, they will play a vital role in the economic development of the city; they build hospitals, synagogues, schools, libraries, banks and the Modern hotel, one of the most luxurious in the Far East. This immigration is very different from the establishment of the Jews in Kaifeng and Shanghai. In the early 17th century, the Jesuits came in contact with the Kaifeng Jews; they probably arrived in China in the 7th century and the first synagogue was built in 1163. After Hitler came to power in January 1933, 18 000 German and Austrian Jews find refuge in Shanghai, an overcrowded city of refugees and partially destroyed because of the Sino-Japanese hostilities. But Shanghai is the only city in the world where Jews can arrive without guarantees, without a visa or passport, regardless of possible quotas. Shanghai already had two Jewish communities, one Sephardi, from Iraq and India, illustrated by the famous David Sassoon and Silas Aaron Hardoon, one Ashkenazi, of Russian origin, settled since the October Revolution. 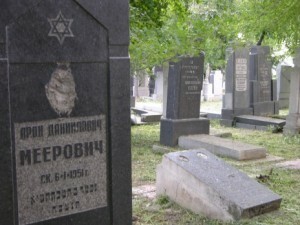 The Jewish cemetery in Harbin; photo Pierre Haski. In Harbin, the Japanese are trying to encourage the establishment of Jews and implement the Fugu Plan, named after a fish, prized but which can kill if not prepared properly. Talent and capital against promise of religious freedom and political autonomy; the strategy is to seek the support of the American Jewish community and more broadly the US authorities. 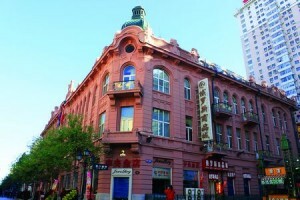 But as written by the novelist, in 1933, part of the Jewish population of Harbin fled the city following the torture and murder of Simon Kaspe, the son of the owner of the Moderne hotel. The emotion was great especially as the kidnappers were protected by the Japanese authorities. The Fugu Plan was approved by some leaders but the president of the American Jewish Congress opposed an absolute veto. In 1939, at the request of the Jewish community, the Japanese took very strict measures to stop immigration to Shanghai. In the 1950s, very few Jews remain in Harbin, but Lena did not leave for Israel, “she never had the idea to go. First because, at the time when the Jews were persecuted, it was Harbin who had welcomed them and offered a helping shoulder. But also because she had loved and hated in Harbin. For her, the place where you love becomes your homeland and the place where you hate is where the Lord gives you the baptism “(p.169). She was born in 1969 in Mohe in the far north of China, along the Amur River that marks the border with Russia. After Normal University in Beijing and the Lu Xun Literature College, she began writing in 1984. She has published forty novels and short stories. A great novel, “The last quarter of the moon,” which won the Mao Dun prize, after an English translation is being translated into French and will be published by P. Picqiuer; a beautiful text on the Evenki nomads, reindeer herders, who live on the right bank of the Argun River. “Good evening Rose” is not really in line with her short stories which do not devote themselves to history. This interest of the author is confirmed by her latest book ” White snow and black raven” which deals with an epidemic which, in 1910, killed twenty per cent of the residents in Harbin. The short stories deal with nature, plants, flowers but also childhood and death, grief; the death of her husband after an accident, was for her a key event and one finds an echo in both short stories of “All nights in the world.” This collection also shows us the importance for her of the supernatural, spiritual and magical elements of everyday life and especially Northern life to which the novelist is very attached. (1) Chi Zijian, “All nights in the world”, translated into French by Yvonne André and Stéphane Lévêque; P. Picquier, 2013, 175 pages, 18 euros. 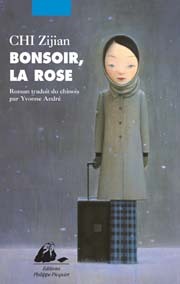 (2) Chi Zijian, “Good night Rose”, translated into French by Yvonne André; P. Picquier, May 2015, 185 pages, 20 euros. (3) Nadine Perront, “Being a Jew in China, the extraordinary story of the communities of Kaifeng and Shanghai”, (in French); Albin Michel, 1998, 220 pages.